Fly tandem with an instructor at mount Yamaska near Granby. 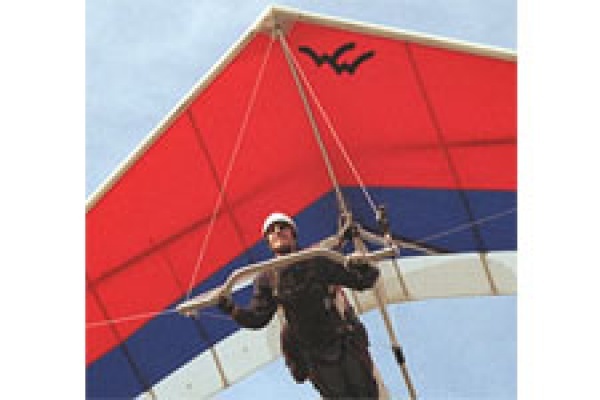 Just like a standard glider, the hang-glider is towed by an ultralight aircraft from the ground to 2000 feet. The cable is then released and the free-flight starts ! A flight last aproximately 20 minutes depending on weather and wind conditions. No experience required. An unforgetable experience. Fly tandem with an instructor from mount Yamaska near Granby. A flight last aproximately 20 minutes depending on weather and wind conditions. No experience required. A fantastic experience. Take-off from the ground and fly on a motorized hang-glider with an instructor in Montérégie for 40 minutes. A great experience. St-Paul d'Abbotsford near Granby in Monteregie, Quebec province. Period of validity of gift certificates: Period of use from mai 1st to october 15th.